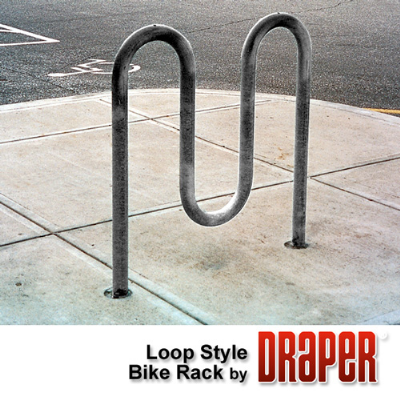 Draper Loop Style Bike Racks offer a clean and contemporary look. The perfect answer for bike storage. Loop Style Bike Racks are fabricated from 2-3/8" (60mm) O.D. galvanized tubing. For surface mount installation.